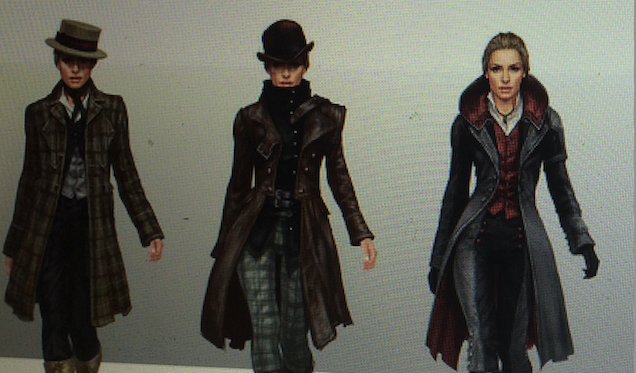 Assassin’s Creed: Syndicate will have two main characters, one of whom is female. According to sources speaking anonymously to Kotaku, the story of Assassin’s Creed: Syndicate will be told from the perspective of two characters. Jacob and Evie Frye are the brother and sister stars of that story. The sources reveal that players will be able to swap between both characters between missions. The story will mainly feature Jacob, or about a 75%/ 25% split in his favour, according to one source. It will feature the criminal underworld of Victorian-era London, which both Fryes are part of. Ubisoft caught quite a bit of heat last year with Assassin’s Creed: Unity, when it was revealed that none of the game’s four co-op characters are females. The publisher’s attempt at explaining the reasoning behind the decision managed to generate even more ire from fans and critics alike. Hopefully Ubisoft’s marketing campaign will be a bit more conscious this time around, especially since the series doesn’t lack well-written female characters. Assassin’s Creed: Syndicate will be officially revealed tomorrow, May 12 at 5pm UK time.